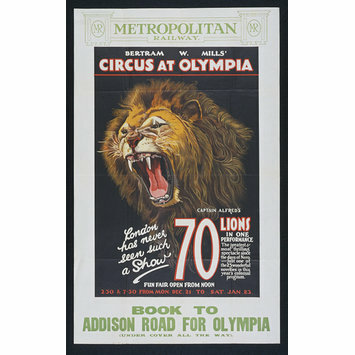 Mills mounted a very effective poster campaign featuring Captain Alfred's 70 lions for this Olympia season. He had this poster issued in conjunction with the Metropolitan Railway, it features their name and logo. For other posters featuring the lions in this season see S.109-1994, S.110-1994, S.112-1994 and S.117-1994. 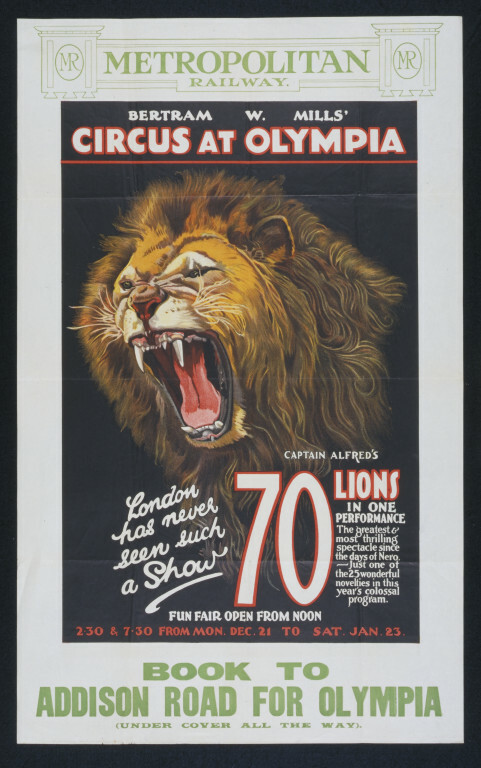 Associated Production: Bertram Mills' Circus. Company: Captain Alfred's Lions. 21.12.1925-23.1.1926. Performance category: circus.